Scott Eisen/Getty ImagesIf she runs, Sen. Elizabeth Warren would be a front-runner for the 2020 Democratic presidential nomination. The enthusiasm behind Democratic women running for office could help launch a female candidate to the top of the party’s ticket in 2020. The potential contenders include progressive firebrands like Sens. Elizabeth Warren and Kamala Harris and moderates like Sen. Amy Klobuchar and Rhode Island Gov. 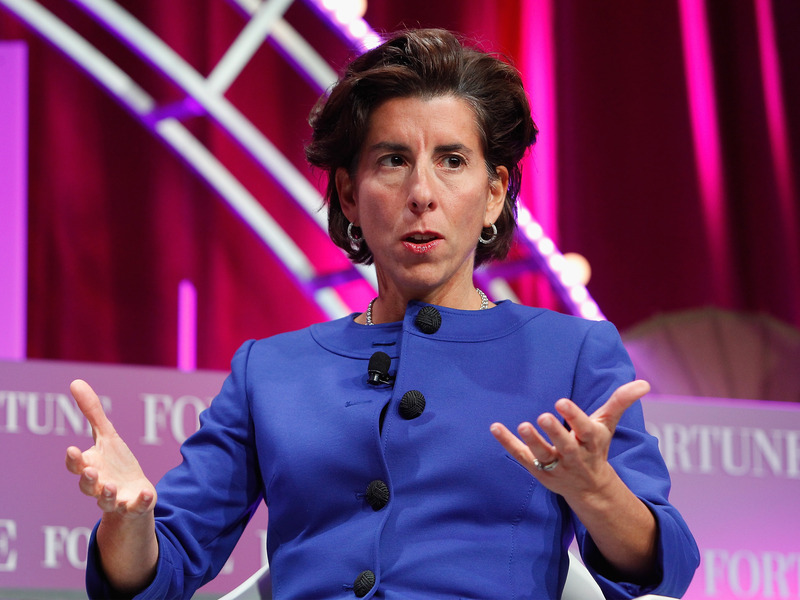 Gina Raimondo. Democratic women are running for office – and winning – in unprecedented numbers this year. And the enthusiasm behind women candidates could help launch a female candidate to the top of the Democratic ticket in 2020. They’re being fuelled by women voters, particularly college-educated women, who are leading a national backlash against President Donald Trump, spurred in part by the #MeToo movement against sexual assault and harassment. And some pollsters say there’s evidence that female candidates in Democratic primaries are benefiting from an intense desire among Democratic voters to elect women. “2018 might be remembered as the ‘Year of the Angry College-Educated Female,'” he wrote. The former law professor would likely be the Democratic frontrunner should she launch a 2020 bid. She’s a national leader of the progressive left-wing of the party with a strong fundraising operation – and she’ll likely win reelection to the Senate this fall in a landslide. During a September event in Holyoke, Massachusetts, Warren gave her clearest indication yet that she’ll run in 2020. “It’s time for women to go to Washington and fix our broken government and that includes a woman at the top. So here’s what I promise: after November 6, I will take a hard look at running for president,” she said to an extended standing ovation. But the senator must also contend with what her constituents want her to do. Recent polling in Warren’s home state found that a majority of Massachusetts voters don’t want her to run for the presidency, despite approving of her work in the Senate. 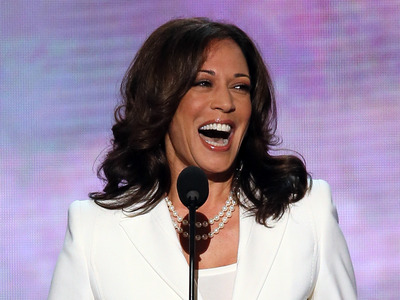 The freshman California senator – the second black woman ever elected to the US Senate -has gained notoriety since she was elected in 2016 as a tough opponent of the Trump administration. Clips of her grilling Trump administration officials, including Attorney General Jeff Sessions and Department of Homeland Security Secretary Kirstjen Nielsen, have helped her build a national following. But while Harris has embraced the party’s leftward shift on issues like single-payer healthcare and reforming the Immigrations and Customs Enforcement agency, the former California attorney general is is viewed as too cosy with the establishment for some on the left. The former centrist congresswoman from upstate New York was appointed to replace Hillary Clinton in the Senate in 2009 and has since been reelected by wide margins on a deeply progressive platform. Gillibrand has consistently been one of the first national Democrats to sign on to populist progressive policies like a federal jobs guarantee, Medicare-for-all, and abolishing ICE. A longtime champion of victims of sexual assault and harassment, Gillibrand made headlines last year when she led the charge in pressuring Sen. Al Franken, the Minnesota Democrat accused by multiple women of groping and other sexual misconduct, to retire from the Senate. She has since become one of Washington’s most influential advocates for the #MeToo movement. 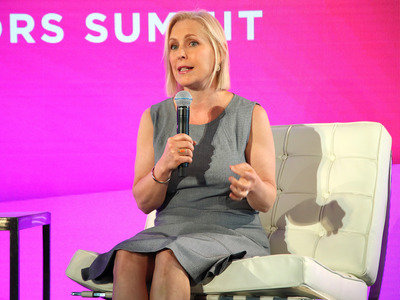 While Gillibrand is one of the party’s strongest fundraisers, her ideological evolution from a more conservative congresswomen to the most liberal senator in Washington could hurt her in a presidential race. The Minnesota lawmaker is known for being progressive but practical – and a bit more moderate than other potential 2020 contenders. She’s also less nationally known than other potential 2020 candidates, but she’s very popular in her home state. 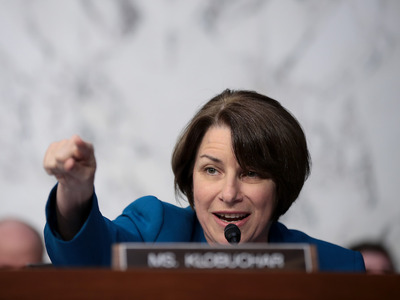 As Vox pointed out recently, Klobuchar has a 60% approval rating in a state Clinton won by just two points in 2016, giving her the largest margin between her approval rating and the partisan lean of the state of any US senator. Klobuchar has proven that she can appeal to white working-class voters without compromising much on progressive policy goals – something many Democrats will see as a strength in challenging Trump. The former Georgia House Minority Leader is now running to become the country’s first-ever black female governor. 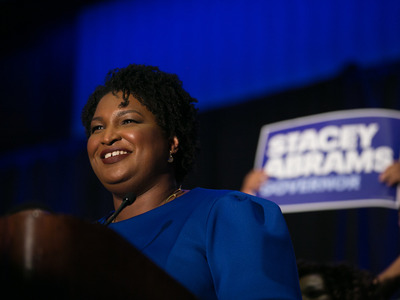 While her government experience is limited to Georgia state politics, Abrams has already developed national name-recognition and a powerful grassroots fundraising network. She has also received high-profile support from 2020 potentials, including Gillibrand, Harris, Sen. Cory Booker, and former Vice President Joe Biden, and the senators are all planning to travel south to campaign with her this fall. If the 44-year-old progressive Democrat beats her right-wing Republican opponent in the gubernatorial race, she will have proven that she can beat a Trumpian candidate and expand the Democratic electorate – and could be presidential (or perhaps more likely vice presidential) material. Raimondo – one of only six female governors in the country – is best known for her business-focused governance and championing of regulatory and tax reform, job creation, and worker re-training in her small blue state. The Rhodes scholar, with an economics degree from Harvard and law degree from Yale, made a name for herself in the finance industry, founding Rhode Island’s first venture-capital firm. 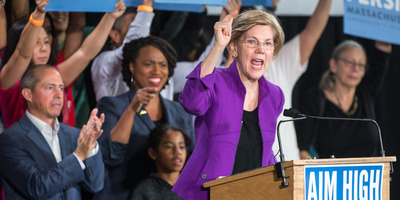 While her single-minded focus on the economy has put her somewhat at odds with the leftward moving Democratic base, her appeal among white blue-collar and business-minded moderate voters could make her an attractive pick for 2020. 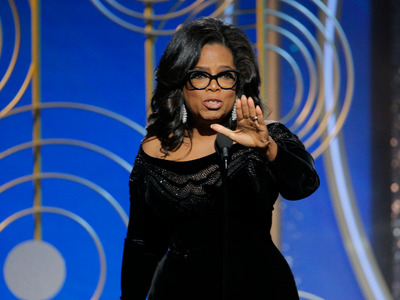 The much-beloved media mogul got many Democrats’ – and even Republicans’ – hopes up earlier this year when she delivered a powerful Golden Globes speech, weaving stories of racial and gender injustice into a hopeful, forward-looking narrative that many thought read like a political stump speech. While Winfrey said last January that she hadn’t yet considered the possibility of a presidential bid, she didn’t completely rule it out (although she said in July a bid “would kill” her). It’s unclear exactly what Winfrey’s politics are, but she was a strong supporter of Barack Obama’s presidential campaigns and endorsed Democratic presidential nominee Hillary Clinton in 2016. Winfrey’s overwhelming popularity, celebrity status, and history-making potential would undoubtedly make her a formidable alternative to Trump.